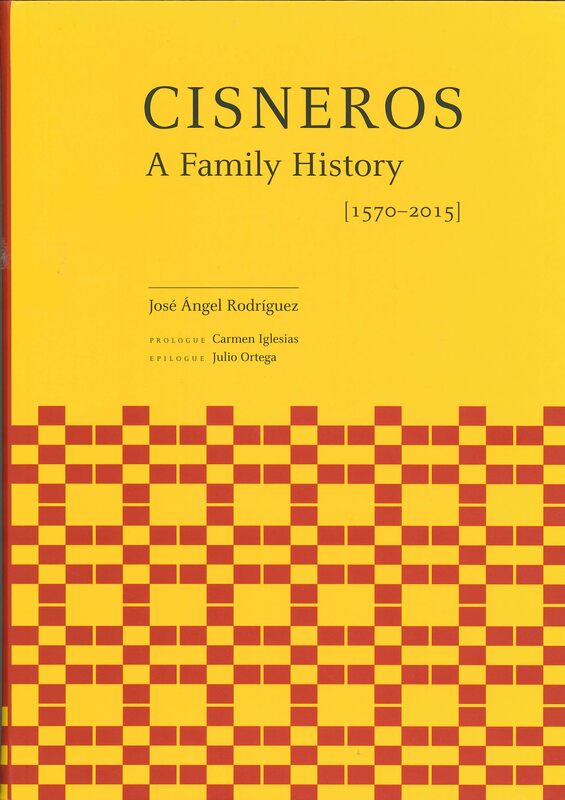 Cisneros: A Family History 1570-2015, is the story of the Jiménez de Cisneros family and their ancestors. “You must conquer what you inherit from your parents in order to possess it,” according to a classic maxim. Such conquests of tradition, enriched through personal effort and merit, are the subjects of this excellent body of research, which brings together the fascinating individual stories of several generations of men and women. It is recounted with excitement and empathy, and presents an important passage of history that pertains to both sides of the Atlantic. The history of the Jiménez de Cisneros family, based on a patient and exhaustive search of archives and reliable sources and well narrated by José Ángel Rodríguez, goes beyond personal events and adventures in order to interweave and ground them in various periods in the history of humankind, spanning Spain and the rest of Europe, as well as the Americas.